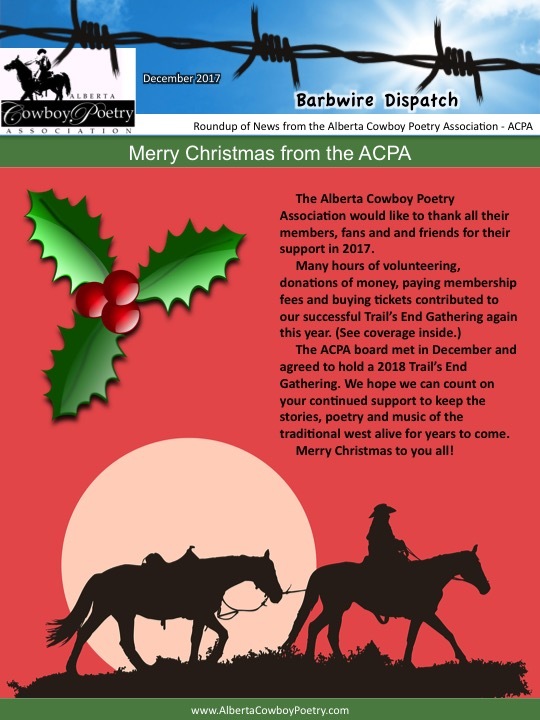 The December 2017 Barbwire Dispatch, Official Newsletter of the Alberta Cowboy Poetry Association has been released. Because we are in the midst of the ACPA web site renovation, I’ve posted it here so you can access. it. Tagged Alberta Cowboy Poetry Association, Barbwire Dispatch, December 2017, official newsletterBookmark the permalink.